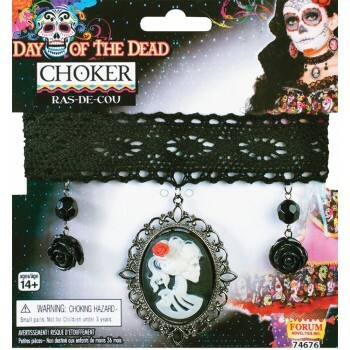 A great accessory to your Day of the Dead costume. 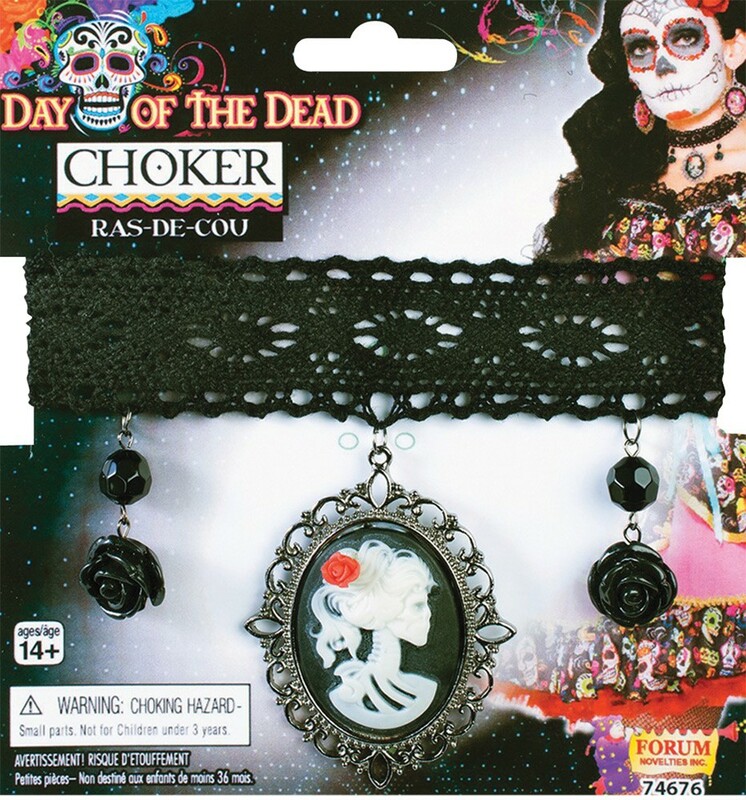 Elegant choker with lace band and cameo showing skeleton girl with rose in hair and two other hanging black rose charms. One size fits most.